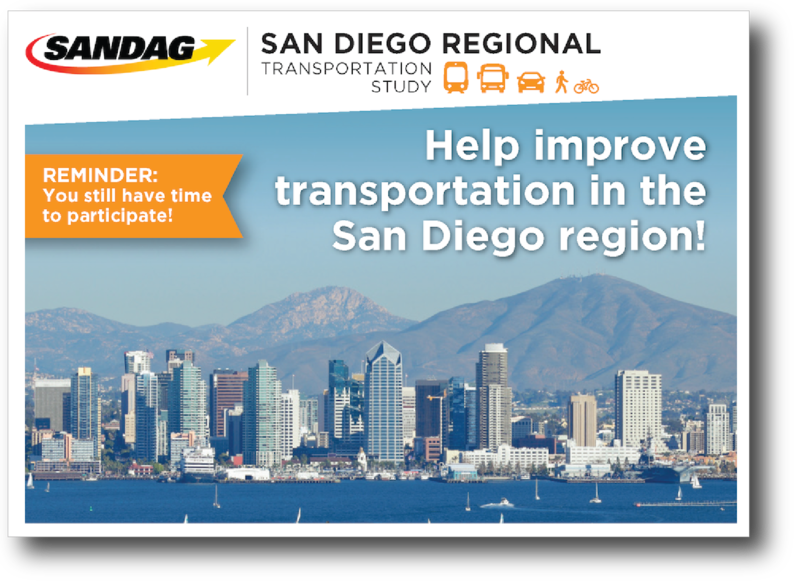 San Diego Regional Transportation Study | Resource Systems Group, Inc.
RSG conducted the most recent Household Travel Behavior Survey for the San Diego Association of Governments from 2016 to 2017. The project surveyed more than 6,100 households approximately three-quarters of whom participated for seven consecutive days using RSG’s smartphone-based GPS travel survey app, rMove™. The remaining sample completed a traditional one-day travel diary online or over the telephone. In addition, the study collected an active transportation bicycling add-on sample using rMove and an active military add-on sample at military bases in the region. The study was conducted with materials produced in both English and Spanish. Partnerships with local community-based organizations helped target outreach to hard-to-reach Spanish-speaking households. The resulting dataset is yielding rich insight for transportation planning and travel model purposes, such as how travel behavior is evolving with the usage of apps such as Uber or Lyft, and how residents are changing their travel behavior with deliveries to their home.